? How it works ? Order your free boxes & tape ? We deliver ? You pack them ? We collect ? We store ? You relax ? We deliver back or ship your Boxes after your break. ? 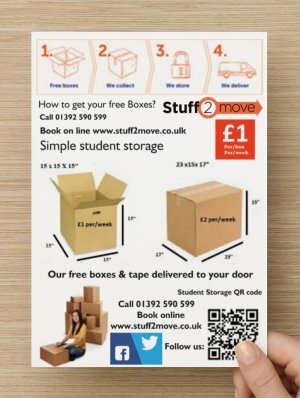 Simple Student storage & moving. Free Boxes delivered to your Door. Free collection from your Door. Free delivery Back to your Door.